What can we learn from the trending videos on YouTube? Have you ever checked out YouTube’s Trending feed? I haven’t really clicked on the feed in the past so I’m coming at it with a beginner’s mindset in a way. It’s interesting to look at the videos on the feed. They seem to be the videos that are being highly viewed in the short-term. They’re popular right now. I thought it would be interesting to look at these trending videos and pull some lessons out that could help improve content marketing efforts. 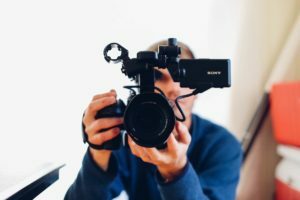 Videos are just one form of content, but lessons from one type of content can often be useful for other forms. The first thing that stands out when I look at the trending videos is the element of emotion. There are topics that bring out high emotions in some or many people. These topics might include politics, sports, pop culture, family, pets, love, security and more. Emotional content usually does well especially when it connects the content creator with the content audience. Let’s say you’re an apparel company and you’re specialty is ball caps that have a style fitting to small town life. The content you create online like videos, blog posts, podcasts or whatever would have a good chance to succeed if you touch on the common emotions your target audience experiences and values. Those emotions might include simplicity, getting away from all the digital and tech in the world once in awhile. It might involve imagery of being close to family and spending time with those you love. Or perhaps you touch on a subject that people really care about like high school football rivalries or who makes the best apple pie. One of the videos is a trailer for a sitcom reboot on the trending feed. Another is talking about something political from several years ago. Another is a nostalgic trailer about a 20-year old movie. People like looking back on life. If we’re feeling a little down it can make us feel better by looking back on things from our past that make us feel good. It’s also a way for us to connect with others even if we’re feeling good. We might meet someone new and realize that we both played little league baseball when we were kids or that we liked the same TV show or whatever. Nostalgia is more powerful than ever in our society and it’s something many companies are tapping into when it comes to creating new content. Some of the most popular videos on YouTube are of people doing incredible, amazing things. I think about the Bryan Brothers in the golf world. They became very well known in the golf world with their trick shot golf videos. They really did some incredible stuff. And then one of them won three times on the Web.com professional tour. On a related topic are videos that kind of make you think about life in new ways. I guess it’s still a form of amazement. You see something being done that’s new to you and that kind of blows your mind in a way. That’s how I felt when I saw someone do a quick video on how to open a banana peel like a monkey…by pinching the bottom instead of peeling from the stem. Simple, but an amazing revelation. There are usually a few how-to videos on the YouTube Trending feed. As I’m looking at it right now there is one that seems to be getting a lot of views. It’s about how a comedian tells or creates a joke. This has been a form of content that has always worked well no matter the medium. How-to blog posts are usually some of the best. The same with ebooks, videos, podcasts or whatever. People are curious. We want to learn new things. There are so many ways companies can help their target audiences learn new things. Related to the last one is the idea of sharing secrets or tips about life. I guess that banana peeling example could be a form of a secret or a tip. Any little thing that might seem simple to you could really be something that is very helpful to someone else. Nobody likes feeling like they’re left out of a secret. Think about the things that only you, from the inside of your industry, know and consider if it would be worth it to share with your audience. Maybe you don’t want to give away all the secrets, but there are probably more than a few that would be perfectly fine to share. It’s just never been thought about before. One of the most appealing traits about someone is their ability to laugh at themselves. It’s unappealing when people take themselves even a little bit too seriously. Obviously nobody wants to be made a feel or “caught” doing something. But those that are able to kind of poke a little fun at themselves seem confident, happy and content with their lives. There are more than a few trending videos that include humor. If you can work a little humor into your content it’ll likely appeal to more people. If you can poke fun at yourself a bit it’ll also make you more appealing to your audience. I don’t really like that this is a lesson from the YouTube Trending videos, but it is so we’ll look at it. There is this weird thing in life where some people are deathly afraid of failure. They avoid it at all costs. That usually means that they don’t really push themselves. And it also means that they take pleasure at pointing out the failures of others. I don’t like it, but it’s reality and you can see it on YouTube’s Trending videos where more than a couple of them are usually someone screwing something up. As far as content marketing goes, I would tread carefully with this one. You don’t want to point out failure for the sake of it. And I think you could turn this into a positive. You could show growth of yourself with your content. Showing something that was a struggle or a failure and how you overcame it and now succeed. There are usually a few movie trailers on the trending videos feed. People like new things. We like the buildup to something big. Sometimes, maybe more than we like to admit, the buildup is even better than the actual moment we’re waiting for. I know I’ve watched a number of movie trailers that have really teased my senses only to attend the movie and feel disappointed. So it’s a balance. You want to connect with people and get them excited while also staying true to what will come next. Movies are one thing, but you can offer previews in a number of ways. I know that when books are released, the authors will often publish a chapter online to preview the book. Maybe you’re releasing a new ebook next month. You could offer a preview, like the chapter list or even a chapter to give people something to consume now. People like a good story. Storytelling has been part of our history for as long as we’ve been around it seems. We like to hear about dreams and struggle and triumph. There are many things that make for a good story. Think about your favorite characters in books and movies and TV shows. Think about the arc of their journey and how you were hooked throughout. If your company is going through something like a product launch or a campaign launch or whatever think about documenting the journey. If you’re patient enough you’ll eventually be able to publish some great content documenting the journey and it’s something your audience will probably find very captivating. You’ll find a mixture of trend-type content with evergreen content. Trends are things that are popular in the moment while evergreen content is something that will likely be valuable and in demand for a long time, usually several years. When you’re creating content it can be easy to fall into the trap of creating trend content only. That’s a really difficult game to play because you might “break a story” or get a lot of traffic in the short-term, but you’ll always be chasing the next big thing. If you’re going to focus on trends I think you still want to focus on evergreen content that will be more of a slow burn. It could certainly hit right away, but it will also likely be a hit when someone discovers it next year or even five years from now. It was interesting to look at the trending videos on YouTube. I haven’t really done it before, but I might have to make a habit of clicking on that link more often. There are definitely some things to take away when it comes to creating content and experimenting with content marketing. Hopefully you’ve been able to pull away from these lessons and maybe it’s even sparked a few ideas.